The TheraMind Center – Santa Monica is an outpatient neuropsychiatric clinic providing Transcranial Magnetic Stimulation (TMS) and other cutting-edge neurological and psychological services to patients in Los Angeles and Santa Monica. 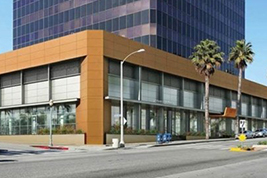 The Center is conveniently located on Wilshire Boulevard roughly mid-way between the Pacific Coast Highway and Route 405. Doctor Sheldon Jordan and Doctor Daniel Franc (See Affiliated Medical Professionals) oversee the administration of TMS therapy for patients at the Center. Doctors Jordan and Franc are widely recognized as leaders in brain imaging using functional magnetic resonance imaging (fMRI) and TMS targeting techniques to treat Major Depressive Disorder and other neurological and psychological disorders. The Center serves a broad clientele of individuals suffering from treatment-resistant depression and chronic pain, as well as mood disorders, anxiety-related disorders (PTSD, OCD, panic attacks) and more. Visit our TheraMind Services of Santa Monica website.